When your inspection requires getting into spots where water cannot be shut off, our Large Diameter Pipe Inspection Float will get your camera in position quickly and easily. This pontoon assembly is designed specifically for large-line applications with uninterruptable water flow where wheels, tires, and skids aren’t practical. 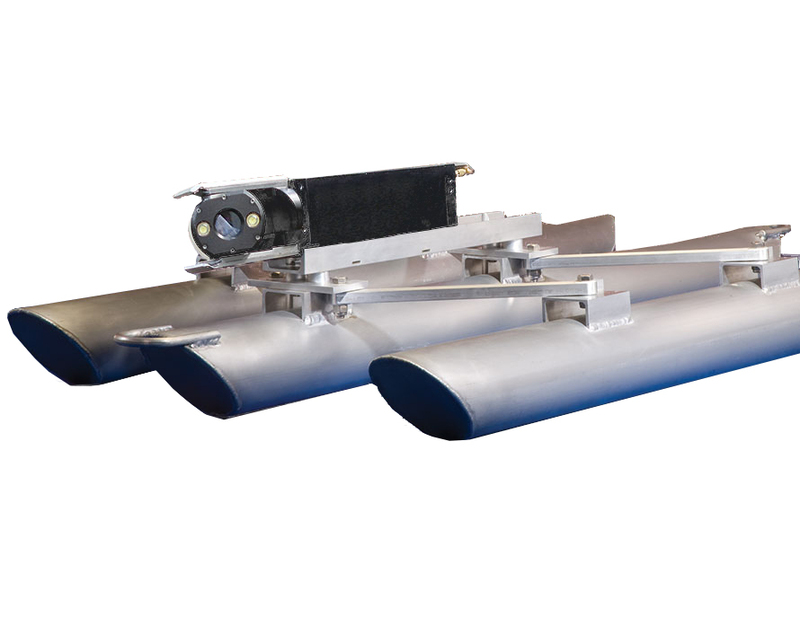 The Subsite Large Diameter Pipe Inspection Float pairs well with our optional SONAR systems! Easily collapsible for manhole entry and extraction. Capable of handling heavy loads.